The printed images are cut out from the famous paintings of the renaissance period. 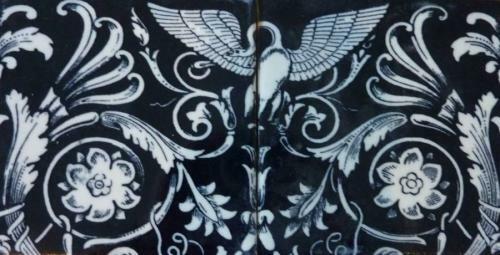 The images are digitally printed on to the tile, which is then glazed and fired. This panel consist of 2 tiles to comprise the pattern. Each tile purchased separately.